Home to AIA San Francisco, this building was designed by Willis Polk and completed c1917. 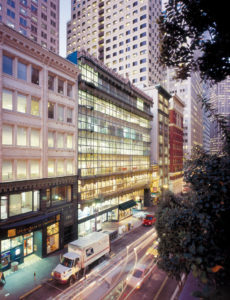 Named to the National Register of Historic Places, the building is named for San Francisco cable car pioneer Andrew Smith Hallidie. 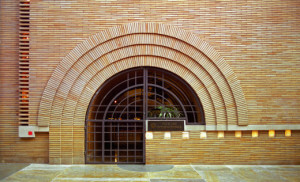 Designed by Frank Lloyd Wright 140 Maiden Lane features a spiral ramp, rumored to have been the prototype for the Guggenheim Museum in NYC. A classic landmark, The Palace Hotel was originally built in 1875. 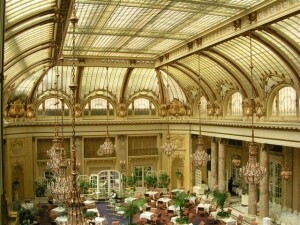 The hotel has endured the Great Earthquake and fires as well as restoration and revival. Stained glass ambiance and botanical dome grace Victorian elegance of the Garden Court reserved as iconic status for social events. The War Memorial Opera House and Veteran’s Building, is a study in Beaux Arts elegance, designed by architectural icons, Arthur Brown, Jr and G. Alfred Lansburgh in 1932. The American premiere of the Holiday classic “The Nutcracker” made its debut at the War Memorial Opera House in Christmas Eve 1944. 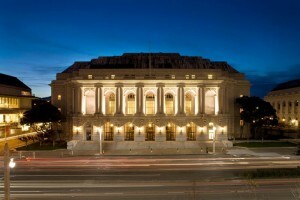 A Bernard Maybeck design, the Palace of Fine Arts was inspired by neoclassic Roman and Greek architecture. 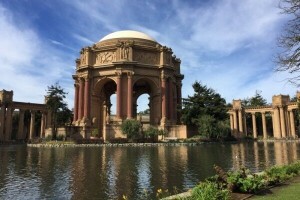 Originally constructed for the 1915 Panama-Pacific Exposition, the facility has a storied history, saved from demolition and rebuilt in 1965, along with renovation of the the lagoon. An elegant French neoclassical museum located in Lincoln Park, the Palace Palace of the Legion of Honor is a replica of the Palais de la Légion d’Honneur in Paris.